CHARLESTON, West Virginia (December 14, 2015) – Wild, Wonderful West Virginia has released the Real. Hatfield McCoy Mountains video, highlighting area attractions including Hatfield McCoy Trails, Hatfield McCoy Moonshine and Chief Logan State Park. 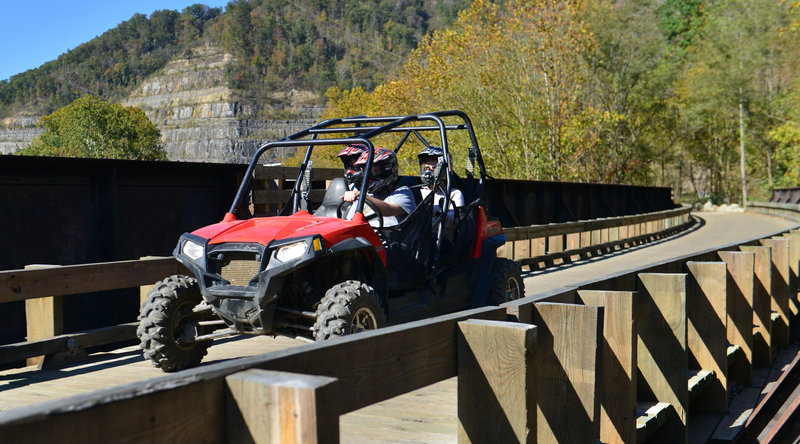 “The video reveals the heart of the Hatfield McCoy region, from its exciting ATV trails to its beautiful mountains and flowing rivers, the aroma of its moonshine, and most of all, its people — who have a deep connection to the land and great pride in the history and heritage of their Southern West Virginia home,” said Jeffrey Lusk, Executive Director of the Hatfield-McCoy Regional Recreation Authority. This is the eighth video in the Real. series produced by Wild, Wonderful West Virginia. Earlier videos showcased Morgantown; Charleston and Huntington; Jefferson County; Braxton and Lewis counties; Wheeling and Ohio Valley; Harpers Ferry; and Parkersburg. The series, a part of the Real. campaign, celebrates the unique destinations and experiences that can be found throughout the Mountain State.